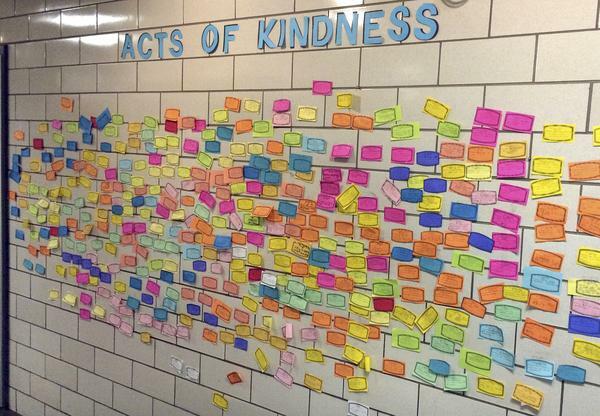 Slips of paper listing acts of kindness adorn the wall of the Pleasant Valley Elementary School in South Windsor, Conn., in 2015. The school asked children to perform 26 acts of kindness on the third anniversary of the Sandy Hook shooting. U.S. Representative Elizabeth Esty and Senator Richard Blumenthal are scheduled to be in New Britain Monday with members of several gun control advocacy groups. Esty’s office says they’ll take about Congress’s inaction on gun control legislation. And after that, they’ll read to preschoolers at the New Britain YWCA as part of a campaign for acts of kindness and community service. Esty and Blumenthal both spoke at a vigil in Washington, D.C., last week organized by the Newtown Action Alliance. The group and other advocacy groups are hosting small vigils and other events across the country this week. As in previous years, there are no public events scheduled in Newtown, and schools will still be in session. Copyright 2017 WSHU. To see more, visit WSHU. 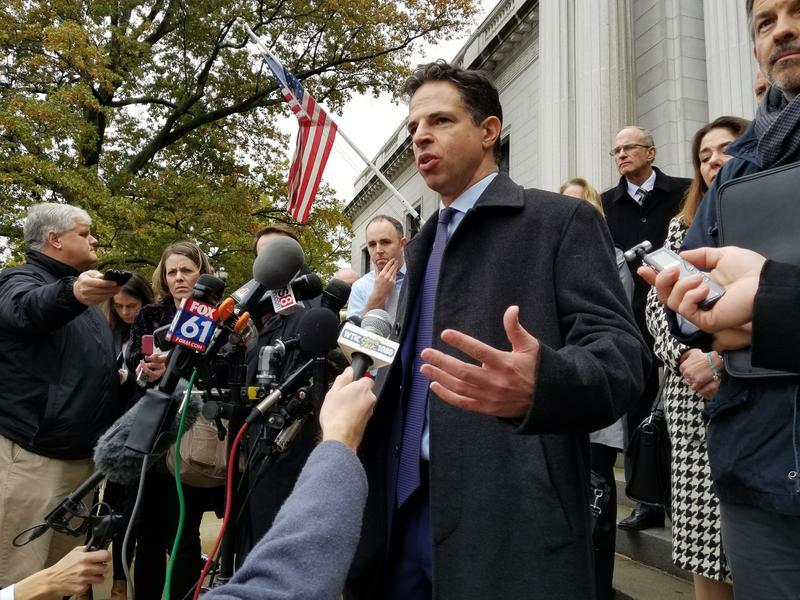 The Connecticut Supreme Court has heard arguments in an appeal on whether a major gunmaker should be held liable in the 2012 Sandy Hook Elementary School shooting. Springfield Congressman Richard Neal, like many Democrats and some Republicans, has repeatedly called on President Trump to release his tax returns. 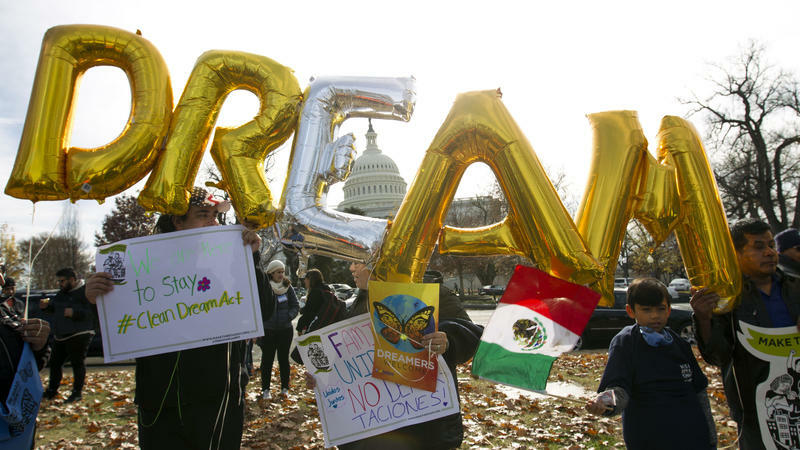 Congress, once again, finds itself days away from a potential government shutdown, and a fight over immigration could stand in the way of a deal to prevent it. "It could happen," Trump told reporters Wednesday. "Democrats are really looking at something that is very dangerous for our country. They are looking at shutting down. They want to have illegal immigrants in many cases, people that we don't want in our country, they want to have illegal immigrants pouring into our country."